The error notification also indicates why your account is banned (in the picture above the account has been banned due to multiaccounting). 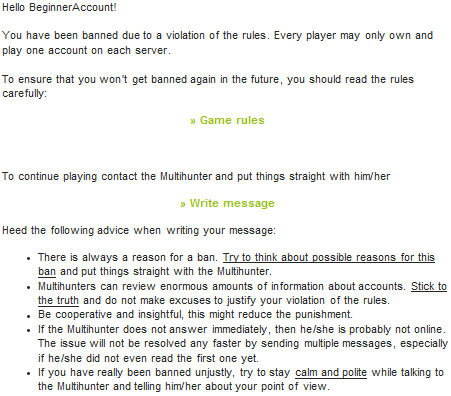 To solve the issue, you should write a message to the multihunter. You can do this by either writing an IGM to the recipient "Multihunter" or by clicking on "write message" on the error message you see. We looked 404 times already but can't find anything. You should read this message carefully and then click on the green "continue" button (marked with the red circle in the picture above). Afterwards you will be able to play again without any restrictions. 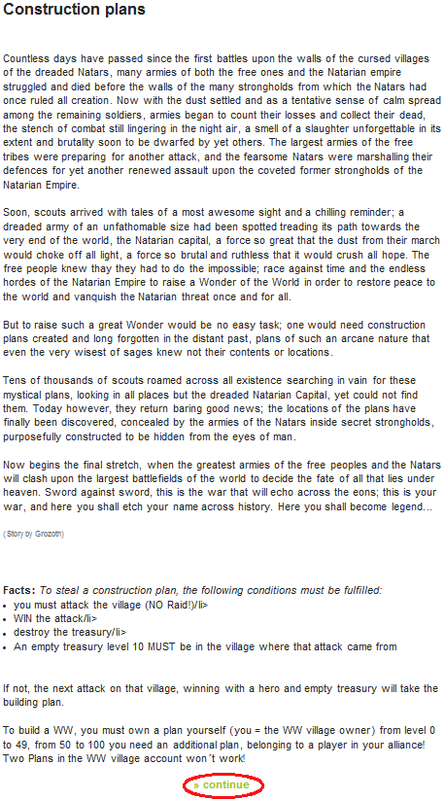 In case you have a problem with finding or clicking on the "continue" button just send an email to admin@travian.com.